In any distribution and fulfilment chain, warehousing is a large component and a costly proposition. In a distribution process, typically there is an incoming transport, and from there the goods are received and stored in a warehouse, and then again picked up for loading on to the outgoing transport bound for the desired destination. You incur charges for warehousing, and the process chain is lengthy. What if you could eliminate the warehousing bit entirely, and just manage things cleverly so that the incoming goods already have their clients or destinations marked, and the logistics provider could pick up the goods and load them directly to the appropriate outgoing transport? It would completely eliminate the warehousing step, wouldn’t it? The answer is yes, it is possible, and it is called cross-docking. How is cross-docking different from traditional warehousing? Cross-docking involves direct offloading and re-loading. The warehouse part is eliminated. But how’s it different from a process perspective, with respect to traditional warehousing? 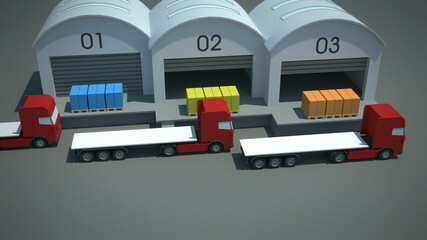 In cross-docking the client is required to be pre-mapped to the incoming goods. And you need the services of a Third Party Logistics (3PL) Provider to manage the process of identifying the correct outgoing transport, and moving the goods directly from incoming to outgoing transport. The distributor has to manage multiple relationships with different agencies for picking, warehousing, and transporting. In the case of cross-docking, there are third party logistics (3PL) providers who will handle everything for you. This marks the major difference between cross-docking and warehousing. As we mentioned at the beginning of this post, storing goods in a warehouse is costly. Warehouse rental costs can deliver an unpleasant shock, and should be minimized. In cross-docking you are eliminating or minimising the storing period, and therefore saving on the steep costs of warehousing. In traditional warehousing, there are multiple parties involved in the process chain, like trucking partners, logistics partners, and parcel delivery. In cross-docking, you can do away with multiple partners and do with a single 3PL who can handle things end-to-end. 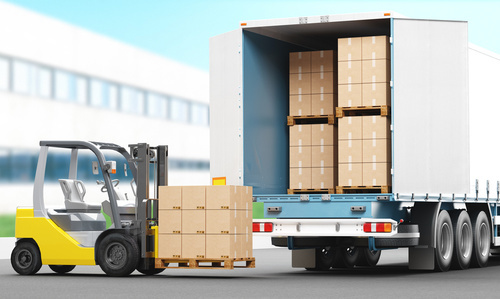 Since Cross-docking involves fewer human hands needed to handle the products, the risk of damage and human errors is minimized and this improves the prospects of receiving the products in good conditions and on time. Elimination of the warehousing step also improves the speed of delivery. Since the stock is picked and directly shipped out to the clients, the inventory pileup in the warehouse is reduced, and this naturally translates to moving towards just in time inventory models which benefit everyone in the chain. What’s right for me – cross-docking or warehousing? Now we come to the all-important question: Should you adopt cross-docking? Is it suitable for your business? There are a few criteria which can be used, to answer this question very easily. – Are you willing to invest the higher management attention and planning that cross-docking takes, as compared to warehousing? – Do you have sufficiently large volumes that make cross-docking effective? Cross-docking is not efficient at low volume levels. – Are you able to undergo the long lead time and capex needed to construct the cross-docking terminal structures? – Are the products you are receiving, customer-ready? Or do they require further processing before they can be shipped to customers? If your answer to the above questions is ‘yes’, then cross-docking is the way forward for you. Go right ahead! How is Pick and Pack Distribution Beneficial? When you have to fulfil customer orders for products, often you might have to assemble a set of items together before shipping the complete package to your customer. Pick and Pack Distribution refers to the process where you receive the multiple components at a warehouse, and there they picked and assembled together by the warehouse staff, and then packaged and shipped to the relevant customers. If you don’t use pick and pack distribution process, then the option for you is to set up your own assembly area, employ staff to receive, store and repackage the goods, and then send them out. Both systems of working have their advantages and disadvantages, depending on various factors like the size of the business you are running, kind of products you are selling, what kinds of clients you serve, and so on. Let us look at these aspects, in order to help you take a decision on what kind of distribution system you want to employ. Receiving the goods from different suppliers and storing them in a warehouse is an involved job that sorts and stores items in order to best utilize the warehouse space and logistics. Usually warehouses are shared between multiple businesses. There are different zones for storing items, according to their size classification – like full pallet, half pallet, case, individual item, etc. A warehouse service provider receives goods meant for different businesses and stores them in the most efficient way possible. In the case of Pick and Pack Distribution, the warehouse staff receive the orders, then pick the items from the respective storage areas, assemble and package them, before sending them out. Often, the orders are assembled by picking the goods belonging to different companies, as the final product to be shipped might be a composite one. What are the Advantages of Pick and Pack? Cost-effectiveness: Pick and Pack system is cost-effective because the warehouse space is shared and the overheads are distributed between multiple business; plus, the process involves no minimum order sizes and can be extremely flexible. Also, the business can avoid the cost and lead time of setting up their own assembly area and the corresponding staffing. Efficiency: It is more efficient to store and assemble the orders from a single location as it reduces the transport and the different agencies involved in reshipping. Agile and swift: Pick and Pack is a highly flexible and agile system, as we have seen, because of the elimination of redundant steps in the supply-chain, and is therefore quick and ensures shorter turnaround times for the end to end process. So- what’s the recommendation for me, then? Having understood the benefits offered by Pick and Pack, you need to evaluate whether your business will benefit from these efficiencies; and make a choice depending on the business model and processes that you employ. For example, if your final shipped packages are comprised of one or two items only, then it might be better for you to pack and dispatch them yourself. At the other extreme if your end package is extremely complex, requiring specialized knowledge to assemble it, then again it might be better for you to choose another method. Another consideration for you to bear in mind is whether you enjoy the services of an efficient third-party logistics provider who can provide you these services. Because, Pick and Pack is great if done right, but can be horribly messy if it is in the wrong hands! But if you need to harvest the benefits of efficient warehousing and outsourced product packaging and shipping, then Pick and Pack is the way forward for you. So, take your call, and be on your way to greater efficiencies! Small businesses need to understand a simple strategy that concerns establishing coherence between customer demands and the existing supplies. More often than not, startups and even medium-sized enterprises fall short of resources— which in turn sabotages their credibility. While manufacturing is never really an issue with technological innovations at the helm, it is the product distribution that takes a beating. Major issues include inadequacies related to product picking, packing and shipping. In addition to that, certain businesses also find it hard to store their products in an efficient manner. 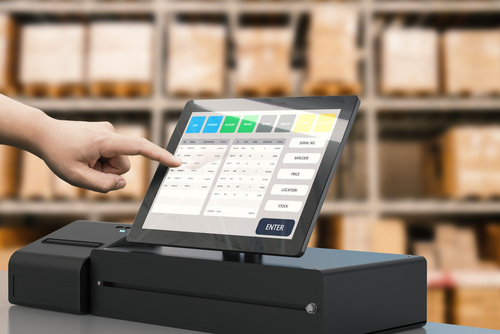 However, if businesses continue worrying about these aspects of inventory management, it becomes hard for them to grow and even outrun the competition. Moreover, delayed shipments can easily kill off the customer satisfaction levels with companies failing to deliver products on time. There are several firms which readily outsource the pick and pack services— in order to save time and even overhead costs. Pick and Pack warehousing is a comparatively newer aspect that combines the essentials of product storage with excellent shipping services. Companies that worry about storing their products in a secured environment are better off hiring 3PL service providers which emphasize on Pick and Pack warehousing. While it easily mitigates the storage constraints, a host of other benefits are also available for businesses to leverage. Having specialized warehousing services at the helm can help enterprises meet varied customer requirements. Once a business starts blossoming and growing rapidly, it becomes important to stay on track with the persistent user preferences. This is where outsourcing comes in handy, especially by offering excellent Pick and Pack storage and distribution services to the concerned organizations. Before we delve any deeper into the basics of Pick and Pack services, it is important to understand the influence of outsourcing in regards to handling the storage needs. Manufacturing industries usually need to ship extensively and having a restricted storage space can actually slow them down. While it is always possible to hire specialized warehousing services, most companies look for cohesive options that can cover multiple bases. Having one logistics company handle the basics of storage, picking, packing and shipping can be the best possible option when the manufacturer is looking to minimize the costs. Efficient, off-site warehousing is one aspect of this cohesive program that allows an enterprise to manage inventory without opting for contract or distribution warehouses. Online warehouse management is also possible. Unlike other warehouses that solely offer storage options, facilities synonymous to the Pick and Pack management believe in dispatching the products, almost instantly. To be exact, enterprises can enjoy the benefits of a dynamic storage system where products aren’t dumped for an eternity but are expedited immediately. Unlike conventional warehouses that offer storage facilities, managerial flexibilities and a host of other features, enterprises relying on Pick and Pack services are best served when it comes to the holistic catalogue of services. These include a variety of Inbound and Outbound services, dedicated towards amplifying the revenues and serving the customers better. The best part about using Pick and Pack Distribution is that a shared warehouse can serve the purpose for multiple organizations. The products are then immediately packed and distributed to the concerned customer base. As we could already infer from the discussion, this form of inventory management is affordable and exceedingly cost-effective. With small businesses using Pick and Pack services rather extensively, the popularity seems to be validated. In addition to that, outsourced pick and pack services also assist manufacturers with their inventory solutions. Firstly, the designed warehouses managed by these specialized 3PL service providers are organized and extremely efficient. Apart from that, they offer advanced inventory management solutions like stock replenishment and necessary intimations. As the part of a holistic cycle, these solutions also involve picking up manufactured products from the companies, storing them in bespoke warehouses, packing them accordingly and finally, shipping them across multiple channels. An inventory-specific business model requires higher levels of cohesion between warehousing, packaging and distribution. While hiring a 3rd party fulfillment service for the specifics is a good option, pick and pack service providers are actually best suited for a retail-specific business. This form of inventory management works wonders for small to medium business owners, thereby helping them save additional costs and efforts. How Outsourcing Impacts Warehousing, Distribution and Packaging Services? Running a company is a time-consuming affair— regardless of the involved manpower and existing technologies. Despite the operations being tedious and stressful, it is important for the companies to abide by the federal guidelines when it comes to the quality of products. Manufacturers, therefore, are responsible when it comes to the quality standards and there are times when addressing the aspects of warehousing, packaging and distribution becomes nearly impossible. In this keenly contested arena, it is always advisable to outsource certain services by hiring experienced professionals. A good logistics company can therefore do the trick for the entrepreneurs, assisting them with some of the trickier aspects of retail. Maintaining a sizeable warehouse space is difficult, especially for companies that are already manufacturing the products. While constructing personalized storage facilities can incur massive costs, hiring specialized services from logistics companies of repute is always a better option. Needless to say, a startup or even a medium-sized firm cannot afford to spend recklessly on building and operating a bespoke warehouse. Therefore, outsourcing warehouse services is one of the most efficient techniques to grow bigger in this competitive market. That said, an outsourced warehouse usually functions on a contractual basis which simplifies things further for the manufacturers. Shared storage facilities are quite common as the warehouse expenses are then distributed among select manufactures. A large warehouse offers a host of amenities and multiple small businesses can make the best use of the same without paying up exorbitant rates. Why Packaging Services Need to be outsourced? In the modern era, product packaging is more of a compulsion and less of a choice. The entire process is a highly regulated marketing charade that influences a product’s state of well-being. It is necessary that manufacturers opt for the most appropriate form of packaging based on the product and its longevity. Then again, it gets extremely hard for the manufacturers to plan out the packaging strategies, all by themselves. This is why companies need to hire specialized 3PL service providers for outsourcing their packaging requirements. One must understand that packaging is a highly technical process and should only be handled by specialists. Is it Important to Outsource Distribution Services? Put simply, the answer to the question asked would definitely be a big ‘Yes’. For manufacturers to grow their business, it is important for them to cater to diverse customer bases. However, a lot of planning is involved when it comes to making the products available to the customers, via offline and online retail chains. Outsourcing distribution services can help as logistics companies maintain sizeable fleets of dispatchers and skilled drivers, helping the manufacturers with the outreach. While it is important to manufacture a quality product, making it available within a competitive marketplace is what solidifies the position of the concerned brand. Customers will keep purchasing only if the product is delivered to them with care. Proper packaging, as mentioned previously, is an important aspect, synonymous to distribution centers. Entrepreneurs prefer maximizing revenues without having to invest a lot. For this to materialize, they should take strategic decisions involving qualified 3PL service providers. Product manufacturers already have their hands full and it is therefore necessary that they rely on 3rd party fulfillment services for handling warehousing, distribution and even packaging. While packaging is essentially a technical aspect, most 3PL service providers basically concentrate on warehousing and distribution for serving the manufacturers better. For a business to grow, it needs to gain competitive advantage as a startup. Outsourcing can eventually simplify the entire process of growth by offering best-in-class benefits to the concerned organization. The good thing about hiring third party services is that the storage facilities and distribution warehouses offered by them are closer to the client base. As outsourcing is mostly a contractual process, it becomes all the more important for the logistics company to offer the best set of services for the existing price point. This approach makes the retail sector extremely scalable. Based on a reliable study i.e. The State of Logistics Outsourcing, 2007— at least 69 percent of companies across the globe rely on third party logistics for handling warehousing and distribution services and a majority could already measure the return on investment, synonymous to these services. Outsourcing isn’t a complicated process when it comes to the implementation. However, the perfect service provider must be zeroed in, based on a company’s manufacturing and marketing requirements. How Distribution Warehousing via 3PL Services Improve the Market Conditions? Enterprises focusing solely on the retail sector usually have a lot of things to worry about. While direct sales can be initiated via contract and owned warehouses, certain companies prefer third party logistics companies for distributing their products, in an efficient manner. The concept of Distribution Warehouse takes us back to the time when product distribution used to happen via retail outlets. Manufacturers would first assemble or create a product and then send over the same to shops for retail purposes. However, with a massive increase in product volume and amplified online exposure, it became imperative for the manufacturers to opt for a second line of defense. Distribution Warehouse signifies a facility that is dedicated towards storing manufacturer’s product before the same is packed and distributed to the retail customers. The concept of Distribution warehouse actually brings the distributor into the picture, in addition to the manufacturer and customer. Not just product distribution, these warehouses also assist companies with pick & pack and efficient order fulfillment. How Holistic is a Distribution Warehouse? Unlike a logistics company that offers warehouses for sale and even on lease, a distribution warehouse is the brainchild of product distributors who act as the connecting link between manufacturers and retail customers. However, when it comes to reaping the benefits, every section of the sales funnel is taken into account. For the manufacturers, distribution warehouse is a blessing in disguise. While the profit share gets compromised to a certain extent with distributors taking their cut, the flexibility on offer certainly outweighs this minor pitfall. These warehouses have also improved the market condition for third party distributors as they are the ones who invest money, workforce and time in order to amplify the storage options for manufacturers. The last cog in this retail-centric wheel happens to be the retail outlets. With distribution warehouses supplying products to the offline and online retail stores, the credibility quotient is always maintained. The retail stores directly place product requirements and requests to these warehouses and stocks are released upon the availability. Therefore, a distribution warehouse impacts every part of the sales funnel and comes forth as an integral part of the overall, entrepreneurial logistics arrangement. Distribution warehouses actually cut the clutter and simply things for the manufacturers and customers alike. Put simply, a product goes straight into a warehouse after it’s manufactured. The workers, synonymous to the distribution warehouse, pack and expedite the products via reliable courier services. Not just the mentioned perk but a distribution warehouse usually has a host of functional advantages. It is the duty of distributors to pack and dispatch products to customers and even select offline retailers. Most of these facilities are equipped with warehouse storage systems which keep a track of products and their desired dispatch points. Overall, the distribution warehouse offers a cohesive outlook to how the products are stored and how they need to be dispatched. This organized approach saves a lot of effort and even time— especially when the workers are concerned. The best part of having a distribution warehouse is that products are stored in a secured environment. Be it inclement weather conditions or the influx of rodents, a properly managed distribution warehouse is probably the best possible solution for storing the manufactured goods. This eventually cuts additional costs and the retail chains get the products in the best possible condition. Specialized packing and management services within the warehouse help amplify the revenue generation process. Be it temperature-specific storage units or something on the lines of a cold storage system— a distribution warehouse is loaded with technological innovations, precisely for preserving the condition and quality of products. This approach minimizes product damages and therefore reduces additional overhead costs. More than the sales figures, it is the peace of mind that excites a manufacturer. While sending out products for retail purposes is quite a taxing job, distribution warehouses simplify things for the manufacturers. Since the products are sheltered in an organized and secured place, manufacturers are well assured that their business will move forward. A distribution warehouse is probably the most important link between demand and supply chain management. Moreover, with an increase in the number of manufactures and retail products, it literally becomes inevitable to have a storage facility solely dedicated towards distribution. However, warehouse safety and management standards must also be looked at before moving ahead with any 3PL service provider. Ownership vs. Contract Warehouse: Why to Choose the Latter? Owning a warehouse surely has its share of advantages. However, startups and small business owners often find it hard to keep up with the soaring market costs and therefore owning an entire facility can eventually sabotage their growth. In addition to that, purchasing or even availing a facility comes with its own set of obligations— which often overshadows the benefits. The best answer to ownership is a Contract Warehouse. Companies must eventually realize that ownership restricts them to a predefined area. Be it the cold facilities or an operational area involving dry products, everything about a commercially owned warehouse is trickier than usual. Owned facilities often push companies to their limits, especially when it comes to maintaining stocks at the peak. This is where contract warehouses come to the fore as they allow companies to breathe easily, even when there is a gap between demand and supply or vice versa. Apart from that, businesses usually have a lot of warehousing options at their disposal, depending upon the size and scale of operations. While some organizations prefer maintain their own spaces, there are certain firm which prefer leased facilities. However, nothing beats the effectiveness of a contract warehouse as it is definitely synonymous to lower costs, guaranteed reliability and lower investments. Unlike regular facilities, contract warehouses are easier to work with. They can seamlessly handle the storage and shipping whereabouts of an organization, precisely on a contract basis. However, companies taking the services of a contract warehouse must commit to a periodical timeframe. The tenure, however, depends on the company and concerned service provider. Transactional fee can also be a determinant as contract warehouses usually function under cost-plus or fixed cost revenue models. When it comes to purchasing a space and converting the same into a storage facility, massive costs are involved. Structuring a warehouse according to the requirements of an organization also attracts additional costs. Be it renovating the entire building or purchasing equipment for beefing up the storage space— owning a warehouse can come with a lot of headaches. However, contract facilities usually have predefined zones for product storage. This eliminates the infrastructural costs and therefore excessive capital investments. Apart from that, sections for cold storage, controlled storage and even general storage are already carved out when it comes to a contract warehouse. There are instances when staffing requirements for the entire facility is also handled by the logistics company— as a part of the contract. This in turn, further reduces the incidental expenses related to staff handling and overall maintenance. Contract warehouses function in a remarkable and hassle-free manner. Companies hiring similar services are contract bound which in turn protects the same from additional and unexpected expenses. There is a definite lock-in period to look after and this actually safeguards the concerned organization from hassles. Logistics companies associated with these warehouses specify even the minutest of details, including monthly costs, possible changes to the existing prices and even provisions for extending the period of contract. Owned warehouses, on the other hand, are completely controlled by the concerned enterprises. Therefore, it is possible to miss out on several factors— which isn’t the case with a third-party service provider at the helm. Logistics Companies offering contract warehouses also take care of distribution and packaging. With these useful services covered, organizations need not worry about increasing customer demands. The existing service provider eventually takes care of the goods and other aspects of a storage facility. This approach allows an enterprise to establish long-term ties with the partners and clients, regardless of the timeframe. When it comes to the reliability quotient, nothing beats a contract warehouse. The best part about hiring contractual services is that the company offering the same also helps envision and ascertain the design improvements. While it’s great to depend on a logistics company for your warehousing requirements, it is the selection that eventually matters in the long run. It is understandable that every service provider wouldn’t offer the same catalogue and set of features and it is equally important to assess the professional requirements of your firm, beforehand. Regardless of the size and stature of a company, it is the right warehouse that makes all the difference when it comes to aspects of storage and distribution. A contract warehouse, therefore, simplifies proceedings for the entrepreneurs— depending upon the service period. Logistics is the inseparable link between supply and demand. While warehousing is equally important when it comes to assessing the customer requirements, the logistical considerations actually play a pivotal role when it comes to amplifying the credibility of an enterprise. Needless to say, most organizations are on the constant lookout for lowering down the logistic costs which in turn saves a lot of money for them. The latest marketing trend for companies is to outsource the logistics via select 3PL service providers. However, there are times when outsourcing adds to the hassles and sabotages the growth of an organization. 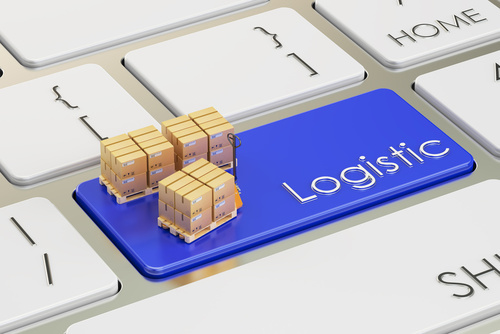 Therefore, it is evident that most logistics companies try to minimize the headaches associated with deference and outsourcing. Although, technology can always extend a helping hand, it’s all about assessing the requirements beforehand and modifying strategies, accordingly. The first approach involves identifying and eliminating vacant spaces associated with a container. However, this needs to be done in a diligent and highly organized manner. Increasing storage density is one way of looking at lower logistics costs. This involves full truck utilization where a company can pack in a few more options, thereby lowering the overall costs. Strategies like these lower freight costs and even encourage organized operations. The perks of utilizing spaces include asset utilization, inventory accuracy and even labor efficiency. Companies offering services related to warehousing, distribution and packing must be cognizant of the market competition. Having the best price for services can automatically attract a greater customer base, thereby improving revenue generation. Cutting logistics costs isn’t only associated with the freight storage and movement. Even if a company quotes lower prices as compared to some of its contemporaries, profits can still be generated if the underlining costs are lower than the expenses. This can be easily achieved by implementing streamline processes— including efficient management of accounting and transportation teams. Proper accounting is yet another technique for lowering logistics costs despite the concerned company quoting reasonable rates for its services. Logistical considerations can get tricky at times. Companies offering services aren’t always in direct contact with the retailers and miscommunications can hamper the credibility quotient. Therefore, it is advisable to carry a safety stock, especially for premium and loyal customers. 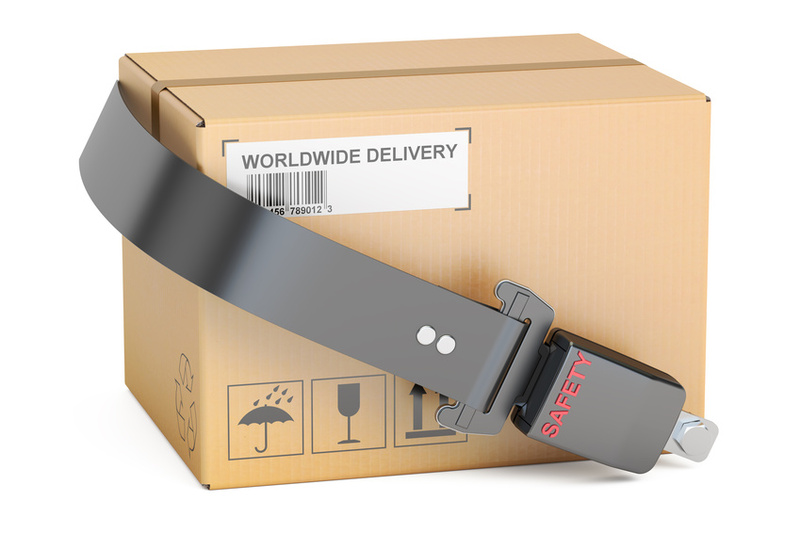 The safety stock offers a backup plan in case the expedited shipments aren’t in the desired condition upon delivery. Although some companies consider safety stock as an additional expenditure, it helps create great relationships with buyers. Not just costs, utilizing this approach also minimizes the headaches associated with logistics. Liquids, when transported in bulk, are prone to spillage. From an economic standpoint, it is always advisable to use Intermediate Bulk Containers or IBCs for the same. While the standard drums are good for basic orders, the cost to spillage ratio is something which needs to be assessed. With IBCs in place, companies can move a substantial amount of liquid using fewer containers. This minimizes overall costs and also offers a sense of assurance to the customers and service providers. Believe it or not, automation actually simplifies the way companies undertake logistical activities. In the truest possible sense, an automated approach comes with myriad regulatory measures which are difficult to initiate manually. Moreover, manual labor requires constant validation and therefore incurs higher costs. Automation seems more like a one-time investment which seamlessly handles logistics, transportation and a host of other activities sans human intervention. It needs to be understood that automation holds true for every aspect of logistics and the quicker companies opt for it, the better it is for them. Companies that regularly track their inventory are better off at saving money. Updated inventory levels prevent overstocking, which in turn minimizes overall costs. Having a spreadsheet to fall back upon is yet another option for the enterprises. In addition to that, it is essential to keep a note of the available merchandise and the quantities asked for. If an organization is good at replacing the merchandize, it need not worry about the deadlines and additional costs. Moreover, an adequately stocked inventory minimizes the logistics headaches and hassles; thereby adding a sense of credibility to the affairs. Logistics companies usually have a lot on their plate when it comes to user requirements. Be it working overtime during a busy season or handling multiple customers at the same time— there are a host of elementary issues to deal with. However, at the end, it all comes down to the costs and efforts associated with the same. While the mentioned strategies can surely help an organization minimize the overhead costs and lingering discrepancies, it is all about innovation that assists a logistics company when it comes to surviving and growing in this keenly contested market. Why Warehousing, Distribution and Packaging Impacts Customer Satisfaction Levels? At present, there isn’t a lot of empirical research going on regarding customer satisfaction and how it impacts the share-of-wallet. Moreover, some basic study modules have revealed that customer satisfaction is actually relatable to word of mouth, market share and even the repurchase intention. That said, enterprises that thrive on product sales are known to have warehouses and logistical considerations to look at. Needless to say, the deployed warehouse management techniques reveal a lot about the concerned organization an how it fares in terms of customer service and satisfaction. There are a host of metrics that determine whether the company is looking to establish long-term relationships with the buyers or just trying to initiate moderate levels of purchases. However, amplified levels of productivity rates and efficient strategies can certainly drive in a lot of credibility for the companies. One aspect that simplifies things for the entrepreneurs is warehouse management that actually takes certain logistical considerations into the mix. Basically, if the existing warehouse is beefed up with products and showcases higher productivity levels, the confidence will surely rub on to the consumers— facilitating enhanced levels of customer satisfaction. The likes of processing errors, shipping delays and other pitfalls are directly proportional to an incompetent warehouse which in turn sends a wrong message to the existing customer base. Therefore, it is important to make use of management software for minimizing manual interventions and improving overall retention rates and associated services. The software module is probably the first step towards efficient warehousing— helping organizations with better visibility and customer service considerations. In this digital sphere, most users prefer quicker deliveries and hassle free returns. This is where having a well-managed warehouse sends out the right message. Having warehouse management software at the helm can easily measure certain automated considerations behind the convoluted world of customer service and satisfaction. Be it assessing the reduced customer churn, enhanced lifetime value or existing points of customer differentiation— it is important that organizations are well-versed with these determinants in order to leverage the warehouse management essentials in the best possible manner. Moreover, customer satisfaction or the absence of it can determine whether the repurchases will be made and how loyal the existing consumer base is. Therefore, it is important to pair up warehouse management techniques with customer service modules, in order to understand the best practices and even the associated inadequacies. In basics terms, a warehouse or rather the storehouse is an area that shelters materials depending upon the distribution, production, packaging and even the maintenance requirements. As demands for products and goods grow, warehouses provide the needed strength to an organization— especially when it comes to making something available on a wider scale. Be it a single-storied warehouse or a building with multiple stories— the storehouse deign can essentially determine the types of products stored within the establishment. In simpler terms, the underlining design addresses the nooks and crannies associated with a warehouse management plan which in turn determines how satisfied or dissatisfied the existing customers are. Warehouse management works in cohesion with storehouse maintenance and inventory control. It is obvious that customers wouldn’t like a product that’s old or expired and therefore maintaining the storehouse becomes exceedingly important. Not just that, the associated inventory or the collection of goods and products should be updated periodically, which then leads us towards inventory control. Product segregation is strictly customer-specific and depends on the purchase patterns. Therefore, companies with dedicated storehouses should look to strike the perfect balance between demand and supply. Stocktaking is one such concept that determines the balance between the stored items. This also involves physical checks and timely investigations for minimizing stock discrepancies. For those who are looking to delve deeper into the concept, stocktaking is further segregated into spot-checking, periodic and continuous stocktaking. A customer might not physically visit a warehouse but he or she gets a fair idea upon seeing the condition of the product in hand. This is where safety and security considerations come in handy while discussing warehouse management. While the store management security keeps the products and stocks away from miscreants— there are private security standards courtesy the inclusion of 3PL systems and other e-fulfillment options. Having storehouse security standards in place can readily amplify the stock value by improving upon the operational roles synonymous to an organization. Last but not the least, proper safety measures also keep the production values intact. Warehouse management is a holistic process that involves a wide array of metrics to work with. Be it inventory control or the associated safety measures pertaining to a storehouse, warehousing is a concept that directly or indirectly influences customer satisfaction levels. In addition to the aspects which are already covered, warehouse management also involves packaging, preservation and keeping stock records. These facets work in cohesion with the inventory control and safety considerations; thereby offering an enviable user experience— both in terms of sales and services. Are you struggling to keep up with the evolving customer demands? Are you finding it hard to get out of the vicious cycle involving distribution centers and supply chain management? If these questions are continuing to bother you as an entrepreneur, it’s high time to look closely at the concerned warehouse— the connecting link between supply chain and customer demands. Needless to say, logistics optimization is an inseparable part of any entrepreneurial crusade. Therefore, warehouse management is one strategy that can help organizations improve upon the existing logistical framework sans major enhancements. Once the warehouse inventory management is out of the way, it gets easier for the businesses to maintain better product flow and higher levels of customer satisfaction. I have always been quite skeptical regarding my warehousing objectives. Based on experience, I would suggest companies to involve inventory management strategies as an integral part of the optimization technique. The major objectives behind Warehouse Management must involve improved order fulfillment, enhanced productivity, minimized error rates, amplified operational efficiency and extremely low inventory holding rates. Inventory management forms the crux of a warehousing model regardless of its size and structure. When it comes to restructuring an inventory, enterprises need to inculcate aspects regarding categorization, definition and even forecasting. Last but not the least inventory management involves efficient usage of analytics, helping companies with layout reconfiguration and a host of other functional additions. Moreover, when an inventory keeps the order picking loopholes at bay, it becomes extremely easy for the enterprises to enhance the turnover ratio, plan locations for quicker remittance and even improve upon wave picking and cross-docking techniques. Warehouse Management Ideas: How it actually Works? At the end, it all comes down to how a warehouse is managed, in order to strike the perfect balance between demand and supply. However, the underlining concepts still include assessments and implementation— albeit on a larger scale. The storage locations have to be marked depending upon the type of product. In simpler words, fast-moving entities should be kept at accessible locations. When it comes to strategizing the organization of a warehouse, enterprises should prioritize pick & pack, order fulfillment and even ease of distribution. There are companies which rely on year-end head counts for their products. For efficient warehouse management, the approach should commence in cycles with counts performed on a regular basis. Periodic intervals might also be selected depending upon the entrepreneurial preferences. Tracking inventory details using pen and paper is obsolete and demanding at the same time. 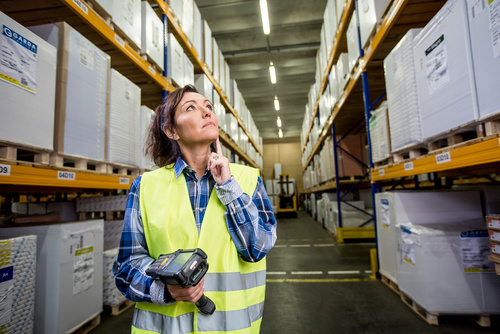 Instead, proper warehouse management must make use of barcoding technology that not only improves overall efficiency but also minimizes the paper-centric costs. Moreover, any manual approach is prone to imperfections and therefore it is advisable to add a hint of technology into the scheme of things. Basically, every marketing move— including sales and logistics— involves data monitoring and inventory tracking. There has to be a software module that takes care of the minute warehouse details— starting from storage to inventory. This approach also assists enterprises when it comes to tracking the inventory levels and minimizing human errors. There has to be a cordial and harmonious relationship between suppliers and the concerned enterprise. There have been instances when mutual respect and amicability led to reduced inventory costs and credit-based supplies. Moreover, companies with e-fulfillment centers should always look to be in the good books of suppliers— precisely for getting hold of quick orders, decent distribution schemas and anything that simplifies warehouse management. 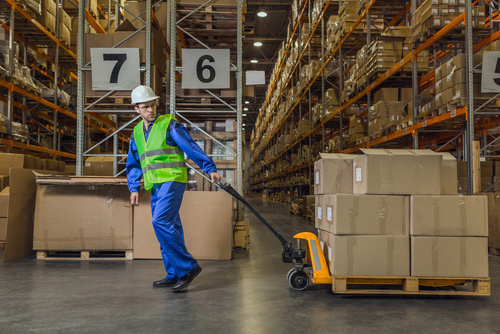 Last but not the least, companies with logistical headaches must skillfully train their employees— especially in warehouse management practices. Apart from that, enterprises must impart knowledge regarding the inventory management policies and practices which are bound to change, intermittently. With expertise on-board, the warehouse management system is expected to flourish further. Warehouse management is all about the accuracy and keeping a track of the concerned inventory. If done right, an efficient management system can readily improve the organizational cash flow followed by reduced costs, improved customer satisfaction and even enhanced efficiency— all at the same time. An industrial supply chain framework depends heavily on the logistical factors with packaging being the most vital criterion to look at. There are times when companies spend way too much on marketing and branding thereby ignoring product packaging. Moreover, the type of packaging is also important— depending upon the product type, sales funnel and a host of other industrial metrics. In the subsequent sections, we shall look at the differences between secure packaging and easy-to-open packaging— segregating the requirements of each. We would also analyze which type of industrial packaging is best suited for the companies— depending upon the concerned products. Why to Make the Choice? Before we go any further into this post, it is important to take a look at both the packaging options. Easy-to-open packaging is mostly seen in grocery shops where the products can be carried out instantly. This type of packaging involves lesser materials and is pretty light when the dimensions and weights are considered. Easy-to-open actually targets products that aren’t fragile and susceptible to threats. Moreover, this kind of packaging is often provided sans additional charges from the company. Secure packaging is an intricate form of product management where the essentials are camouflaged by functional layers. This is one form of packaging that is primarily used by ecommerce stores— where products need to be supplied across diverse channels. Fragile goods, confidential stuffs, electronic gadgets and a host of other supplies usually resort to secure packaging services. While we have loosely described the differences between secure and easy-to-open packaging, there are still myriad aspects to look at before industries can actually take a call regarding which pathway to tread on. The first aspect happens to be the sales channel analysis— involving the nooks and crannies of the existing sales funnel. It needs to be understood that packaging essentials vary according to the industrial regulations and existing standards. Moreover, the packaging team actually focuses on the storage space and shipping features pertaining to the concerned sales channel. While the design choices are important, it all pans down to the type of industrial packaging for a particular set of products. It goes without saying that the packaging format for glassware would definitely vary from that of stationaries. Therefore, the product material is also instrumental in determining the nature of packaging. Industries offering fragile objects usually opt for secure packaging while the ones with sustainable entities prefer easy-to-open packaging formats. Marketability is something that cannot be ignored when it comes to deciding the packaging format. Graphics, textures and fonts determine the type of product labeling and even the packaging layout. Moreover, the type of packaging is also determined by the layout of the existing camouflage. Companies that spend way too much on the label and package design wouldn’t usually opt for easy-to-open approach as it would then defeat the entire purpose of marketability. Products with a decent shelf life and longer travel itineraries should have exquisite design formats when it comes to packaging. The idea here is to allow customers get a good look at the package which can either be a chipboard entity or a high-end rigid box. The type of packaging depends on the shelf space, product durability, size, environmental considerations and even the carriage safety. Usually, secure packages take a close note of the concealed product— analyzing the design aesthetics and even the structural attributes. Most importantly, the existing packaging design should be able to protect the product while making it visually appealing at the same time. This theory holds true even for the easy-to-open packages as the dimensions are dependent on the product attributes and physical considerations. Needless to say, a company wouldn’t invest as much on the packaging when compared to the product costs. Industries usually have a sales margin in mind and the packaging costs will surely depend on the presumed profits. Moreover, easy shipping guidelines cost a lot less as compared to the intricacies of customs. This is why most firms opt for easy-to-open packages as they can be managed without hassles. Whatever be the type of packaging, at the end it all depends on the customer preferences. The idea should be to offer safety to the concerned consumer products without pushing the envelope. Companies must be proactive while designing and selecting the packaging format. While a customer might want an easy-to-open package for his or her journal, the same person might prefer a secure package for a supplement. It actually boils down to the requirements of consumers and companies must keep delivering— every single time.